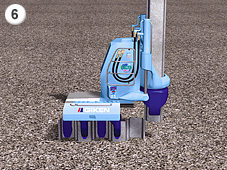 Press-in Procedure | GIKEN LTD.
Silent Piler is very small and light weighted and can self-move on top of piles. 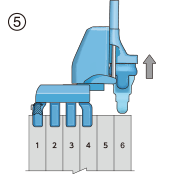 For sheet piling work, it requires just one service crane for pitch sheet piles. 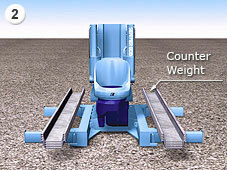 *The machine and its deployment will differ depending on the on-site conditions. 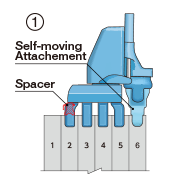 The Silent Piler self-moves during each pile installation, moving 1 pile forward and repeating until completion. 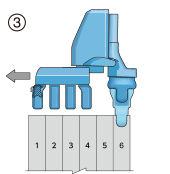 Note: Silent Piler can also extract piles by reverse sequence. 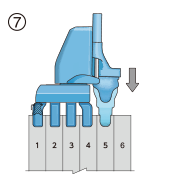 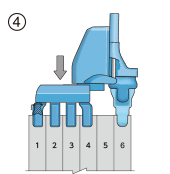 At the very beginning of press-in work, if there is no completed pile, “Reaction Stand” is usually used for initial piling work. 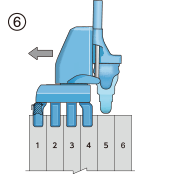 Chuck rotation, mast revolution and clamp right-left mechanisms are equipped on the press-in machine main body. 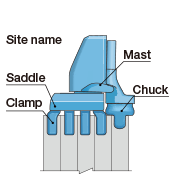 These functions enable to install piles on curved or complicated alignments. 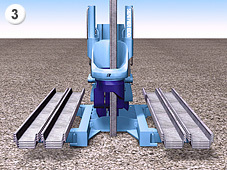 The minimal piling radius differs from the pile sections and press-in machine models. 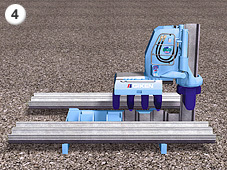 The Silent Piler is able to install piles to form corners at any angle needed by swinging its upper components of the machine body. 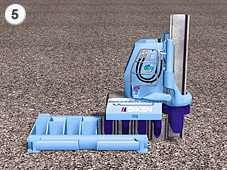 Therefore, even the installation of pile lines with complicated pile orientation can be achieved with the Silent Piler. 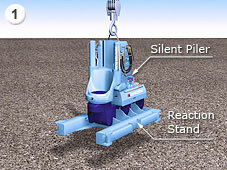 If the completion point of the piling works is too far for the service crane to lift the Silent Piler, it can self-reverse by moving on top of the previously installed piles. 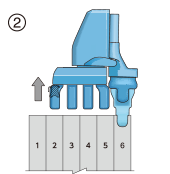 Note: Forward-Walking is also possible by reverse sequence.